Project Bucephalus has been representing FIRST® in Wollongong since 2010. 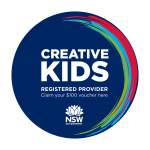 Named after the warhorse of Alexander the Great, the group has many years of experience running robotics activities for children in the Illawarra, Shoalhaven, and Sydney areas. The FIRST® LEGO® League (FLL) team has been active since 2010, and is made up of home-schooled children aged 9-16. The team is currently preparing for the 2018/19 FLL Season: “Into Orbit”. Project Bucephalus founded a FIRST® Robotics Competition (FRC) team in 2016. Team #5985 is made up of high-school students from Wollongong and beyond, and is currently preparing for the 2019 FRC Season. Good luck to our friends and competitors!